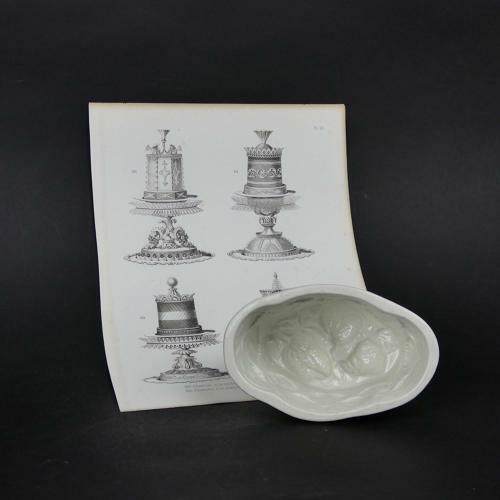 An earthenware jelly mould with a strawberry design to the base. This mould is marked 'COPELAND' and it dates from c.1860. The design has three large strawberries to the base of the mould with strawberry leaves and trellis to the sides. The pattern is well defined and the mould would turn out well. This is quite a small size for this pattern, as usually, moulds with this design are much larger. It is in excellent condition.